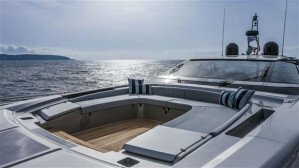 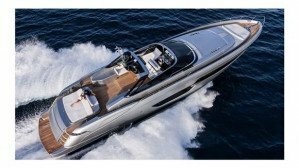 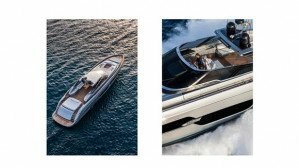 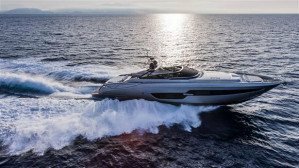 Launched as the Riva 88 Miami but now officially named the 88 Florida, it is fair to say there has never been anything quite like this new 'convertible' Riva. 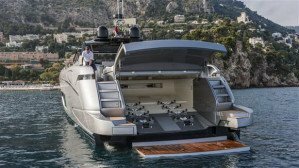 There can be few craft other than superyachts that offer so much outside deck space. 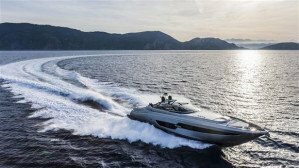 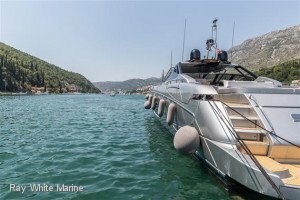 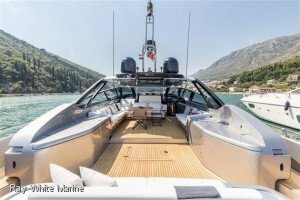 She is certainly one of the biggest open top powerboats ever, and undoubtedly the first fully convertible powerboat to have a power opening roof. 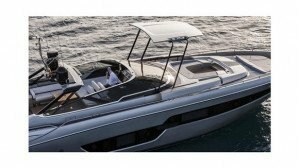 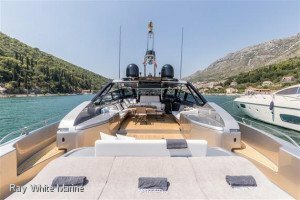 The sight of the convertible hardtop on the 88 Florida lifting off and swinging into its storage recess on the foredeck will surely leave onlookers open-mouthed. 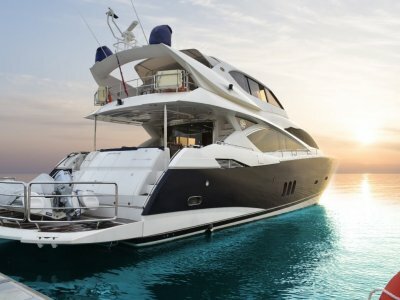 Two electro-hydraulic arms emerge from the sides of the forward coachroof, pivot backwards, pick up the cockpit roof, swing it forward, lower it into its storage position over the seating area on the foredeck, then tuck themselves back into their respective stowage pods. 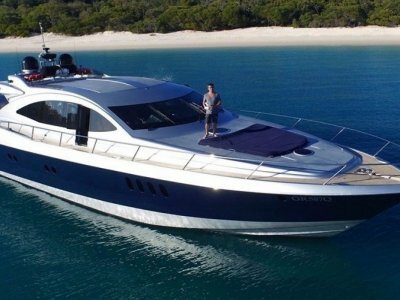 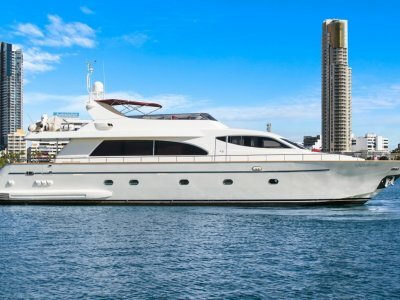 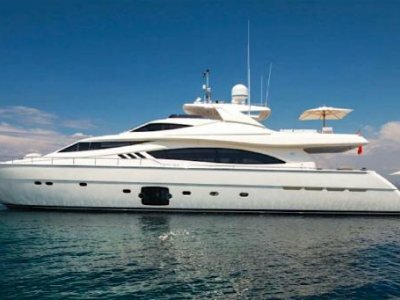 She may be open-topped, but inside the 88 Florida is a serious motor yacht, with four beautifully styled en suite cabins and a lower deck saloon. 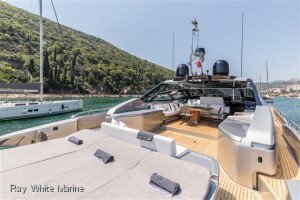 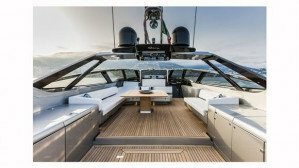 The hull windows of the Riva 86 Domino from which she is derived have been substantially developed, resulting in even more daylight through all areas of the lower deck.